Downes Crediton Golf Club is situated on the outskirts of Crediton, approximately 5 miles from the city of Exeter and was established over 30 years ago thanks mainly to a group of golf enthusiasts who wanted to provide a golf facility for the benefit of the local community. 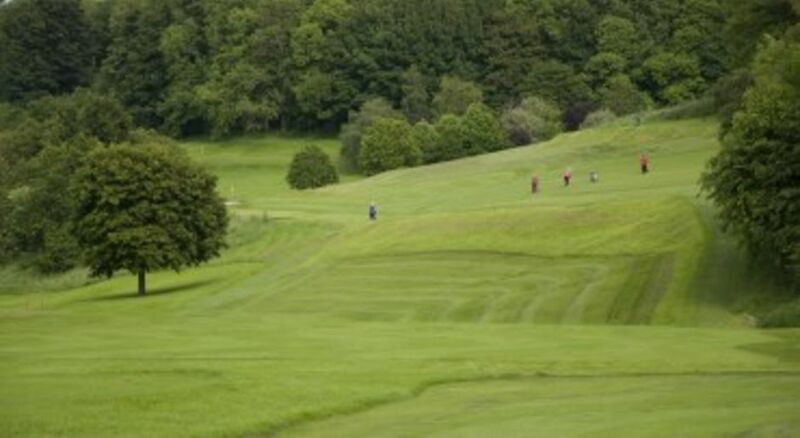 This 18 hole golf course is set in 90 acres of parkland in Mid Devon and will challenge both the low and high handicapper alike. Golf societies and visitors are most welcome to enjoy this superb course along with its club house facilities which include a full catering service and bar. Special arrangements can be made for large groups who wish to reserve tee off times followed by lunch or dinner depending upon their requirements. The idea of an 18 hole golf course in Crediton was formulated in October 1972 when 87 acres of agricultural ground was made available for this purpose by the Downes Estate. A group of enthusiasts then got together and after many meetings in which costs and ways of raising the necessary money were the main considerations, it was decided that with much determination and goodwill a golf course was a viable proposition. A public meeting was held in November 1973 and at this, sufficient enthusiasm was shown by the public to warrant the setting up of a Members’ Club. The nominated committee from this meeting then proceeded to explore all avenues for grants, interest free loans and other ways of raising the estimated cost of £39,000. The South West Sports Council and the local councils all made generous grants, but inflation kept pushing the costs higher and a considerable amount had to be raised from local commercial firms and residents before the final cost of over £60,000 was obtained. The main fact which kept the project going forward was the considerable help given by members and non-members who worked to keep costs as low as possible. They felled trees and cleared ground before a firm of golf course specialists were employed to create the course and also with professional supervision, willing workers converted two old cob walled cottages into a delightful clubhouse. The weather also created a problem for there was torrential rain in the seeding season, drought in the growing season and frost when the grass began to grow. In spite of this, a temporary nine hole course was in use by April 19th, 1975 when the new clubhouse was officially opened. The full course was declared open on 13th June 1976 by Michael Barratt of the BBC and an exhibition match was then played with Neil Coles and Tommy Horton being partnered by two of the South West’s leading amateurs. Since this date, many improvements have been made both to the golf course and the clubhouse, so that today we have an interesting, well-kept course and a well provided clubhouse in which good food and a friendly atmosphere prevail. The club requests that all members and visitors dress in a smart casual fashion. No jeans or trainers are allowed on the course. No caps/hats or wet weather gear are to be worn in the clubhouse.